Sneakin' by . 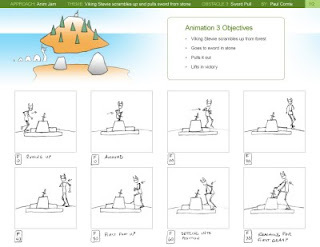 . .
Class 3 Week 7: Splined ("polished") my second animation of Viking Stewie sneaking up and jumping on sea monster to get to other side. 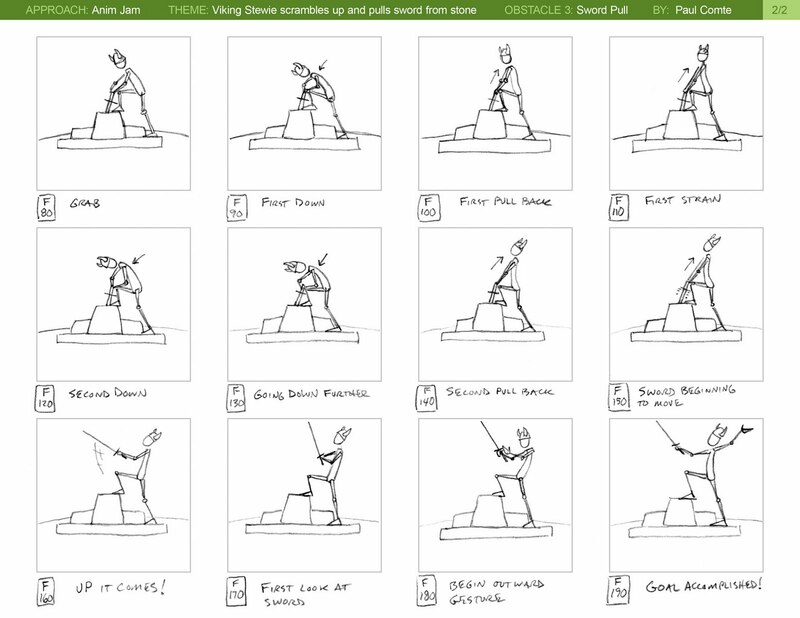 Also included this week, I planned out the 3rd animation I will be working on next. 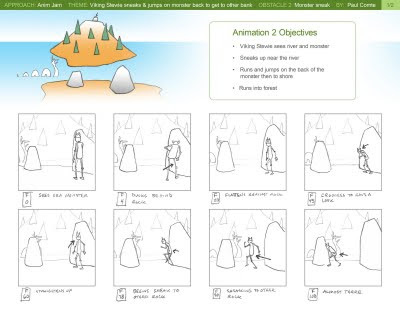 Class 3 Week 6: Reblocked Viking Stewie's monster jump (not shown - better video can be seen in week 7). I am soooooooooo looking forward to this! 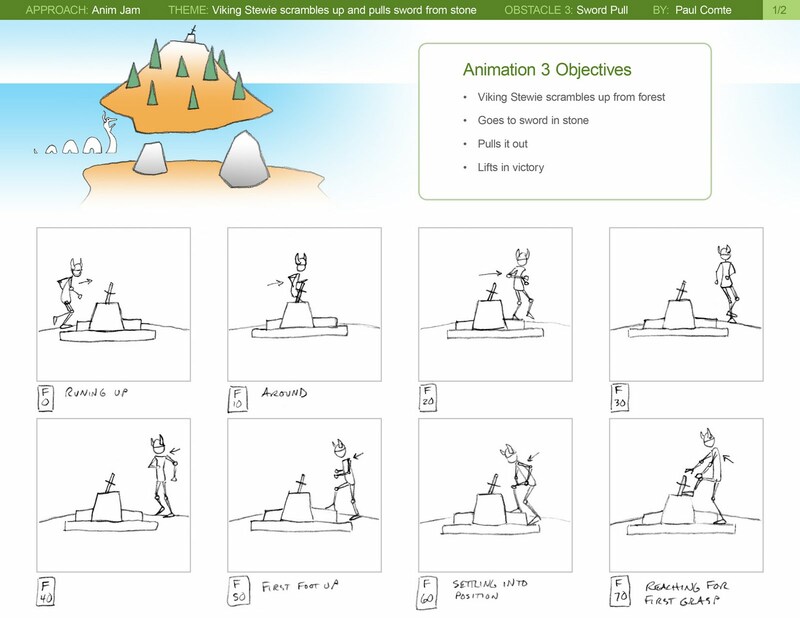 Class 3 - Week 5: Blocking stage of my new monster jump animation. 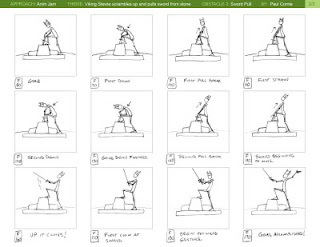 Class 3 - Week 4: This week I was to finalize the wall jump and present thumbnails and video reference for the next animation. Thumbnails below.